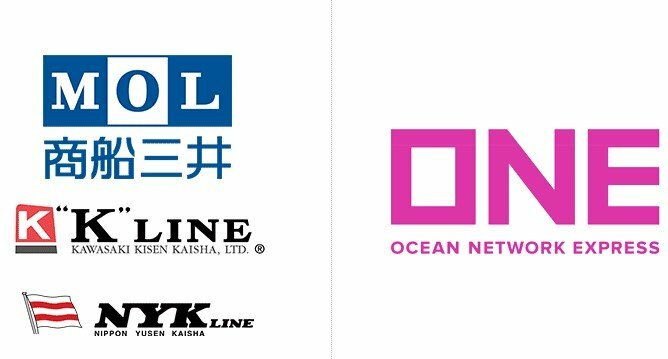 K Line, MOL and NYK are banking their future group profitability on the success of the Ocean Network Express (ONE) – the merger of the Japanese transport groups’ respective container businesses scheduled for April. According to reports, the trio say they expect to save ¥50bn ($440m) in costs in the first fiscal year ending 31 March 2019m and thereafter ¥110bn a year. The synergies will come from personnel consolidation, combining agencies and subsidiaries and a lowest-common-denominator-reduction strategy on port costs and service provider fees. In their traditional New Year messages to staff today, the presidents of K Line, MOL and NYK, Eizo Murakami, Junichiro Ikeda and Tadaaki Naito, spoke of the advantages of the integration and a “turning point” for their companies. Mr Murakami said the “spinning-off” of K Line’s container business would “deliver the advantages of expansion of scale”. He expected ONE would “achieve greater competitiveness by bringing to bear the best practices of the three companies”. Mr Ikeda said the “new business venture” would be a “major turning point for MOL and mark a new beginning”. He added that the MOL group was “transforming itself into an enterprise capable of generating steady profits”. Mr Naito advised his workforce that the container business integration, along with the acquisition of Yusen Logistics, were “major decisions that will shape the future of the NYK group”. He said ONE, in which NYK has a 38% stake – compared with the 31% each held by K Line and MOL – would “aim to commence services from April” and that “the difficult work of bringing the company to life is continuing”. After the merger, ONE will rank sixth in terms of global ranking by capacity with its combined 1.48m teu on 234 ships, comfortably above Evergreen’s 1.1m teu and just behind Hapag-Lloyd’s 1.56m teu. However, with a combined orderbook of some 187,000 teu, ONE could leapfrog Hapag-Lloyd, which has no ships on order. Nevertheless, a primary function for the new ONE ship planners will be to reduce costs by cutting out duplicated sailings, and there is likely to be a number of charter ships off-hired in due course.